Break the boundaries in Panama City. Centrally located in the heart of the business district, W Panama proudly disrupts the skyline of the city, the Evolution Tower stands at 50 stories with an eye catching crown of gold. Guests are just steps away from the bars and restaurants of vibrant Uruguay Street, or break out and catch a quick ride to Casco Viejo, where classic colonial plazas hide wild rooftop destinations. 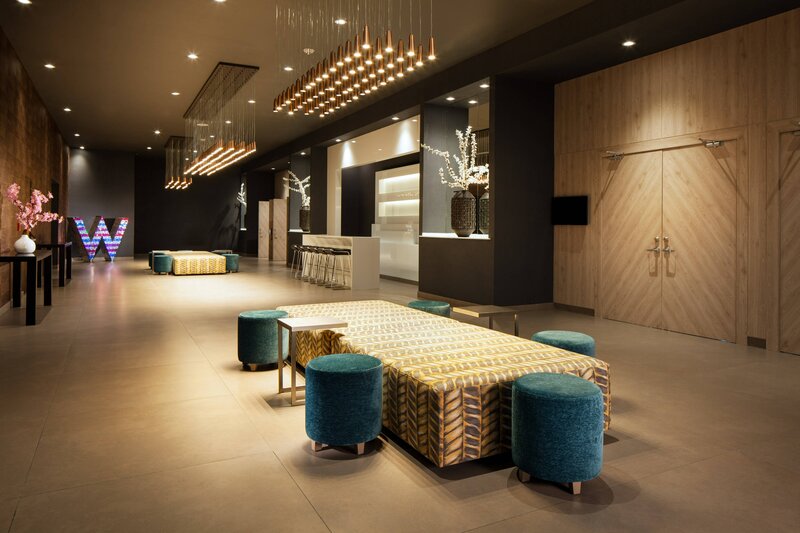 Discover a new world as you walk into the W Panama, taking it all in as historic Panamanian elements get reconstructed in a decidedly W style. Panama City is a vibrant, modern symbol of disruption that forever broke boundaries on how the world conducts business. It’s a destination where global citizens connect, cultures collide and the status quo is continually challenged. As the city that connected the oceans and opened up a new generation of commerce and trade, this cosmopolitan capital is the hub of Latin American business and innovation. 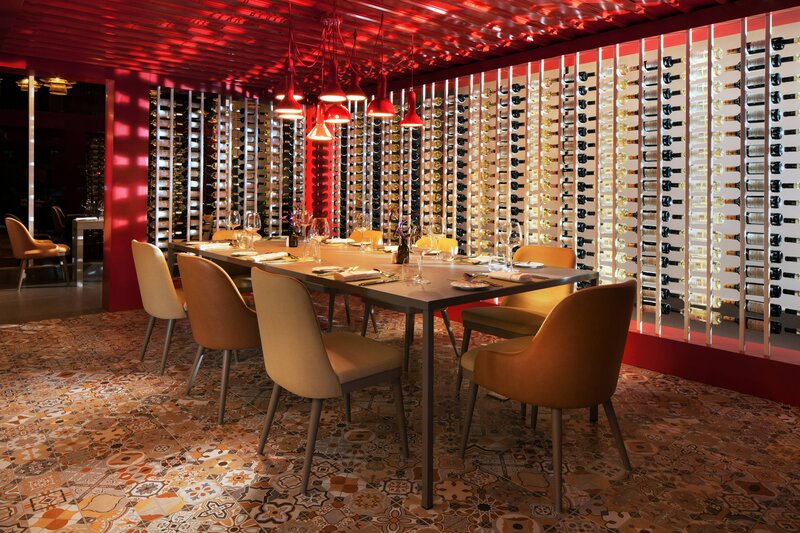 At W Panama, food is a big part of the experience. 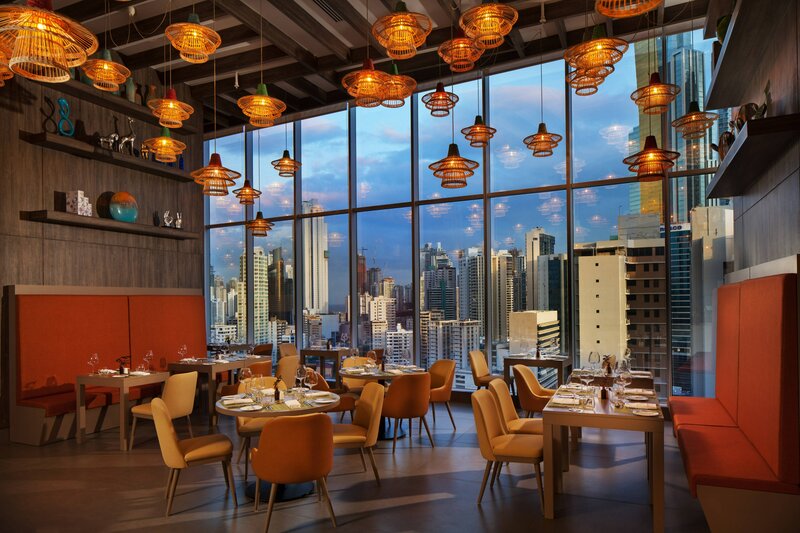 Explore an astonishing mix of global culinary influences and Panamanian traditional dishes. Our cuisine is inspired by Panama’s bountiful natural resources and the mix of global culinary influences brought together during the construction of the Panama Canal. 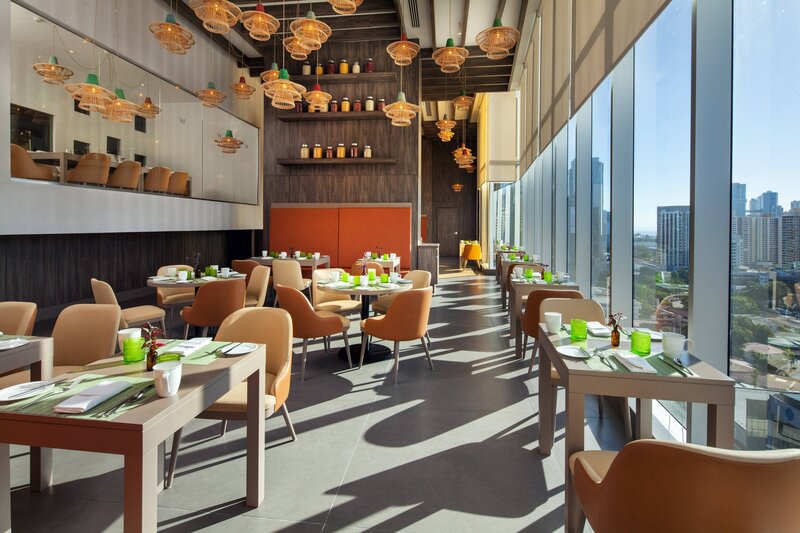 Whether you’re looking to connect with colleagues, unwind with friends or grab a snack on the go, our restaurants and social spots are sure to dazzle you. 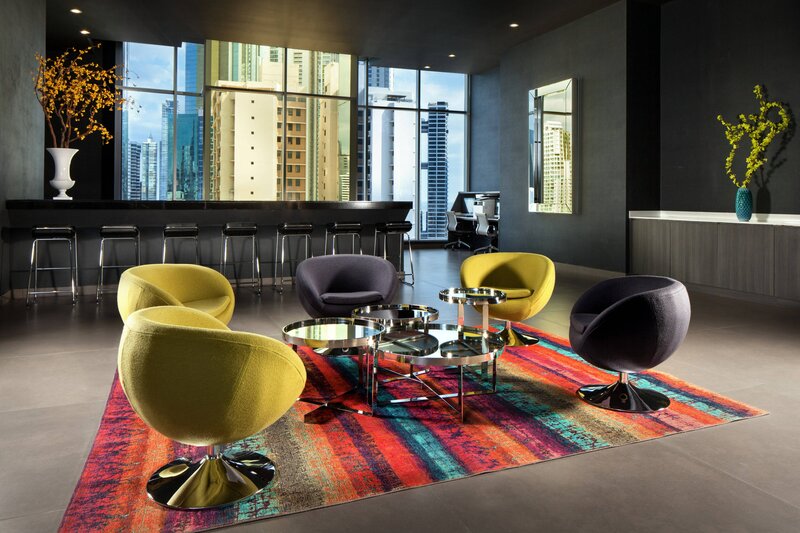 Art, fashion, entertainment and design come together in this stylish tower that raises the bar in Panama for contemporary luxury. Live it up in the ample space and upgraded amenities of a stunning Marvelous Suite. Fabulous Rooms are distinguished by private balconies, while Marvelous Suites indulge guests with whirlpools. Connect with wireless High Speed Internet Access, a 50-inch LCD flat screen TV and a plug-and-play docking station. Bask in vibrant city views through floor-to-ceiling windows; select accommodations also overlook the Panama Canal’s Port of Balboa. Refresh with a drink from the Nespresso machine or the W Mix Bar. Choose one king-size or two queen W signature beds for a restorative night’s sleep. 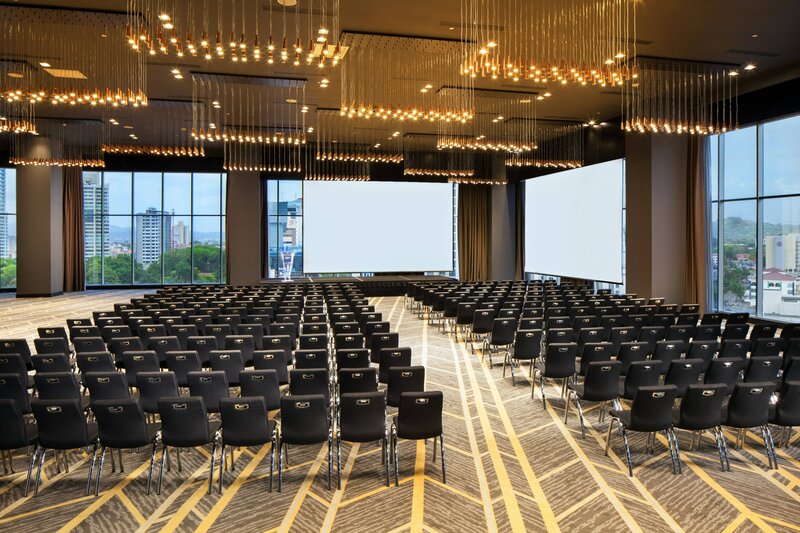 From unforgettable weddings to cocktail parties, fashion shows, live music, and trendsetting W Happenings, Panama just got a social venue worthy of its boldest thinkers. 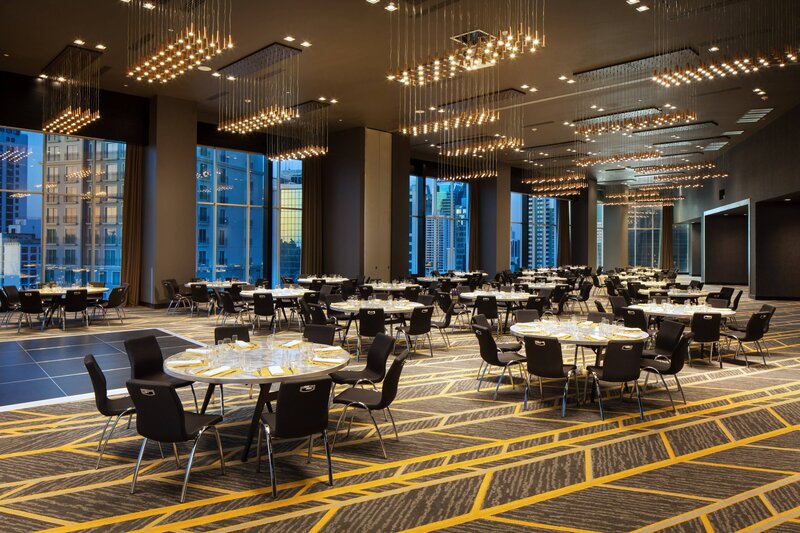 Within a sleek, 50-story tower that scintillates in the city skyline, we offer 21,000 square feet of function space for standout meetings and special events of up to 500 guests. 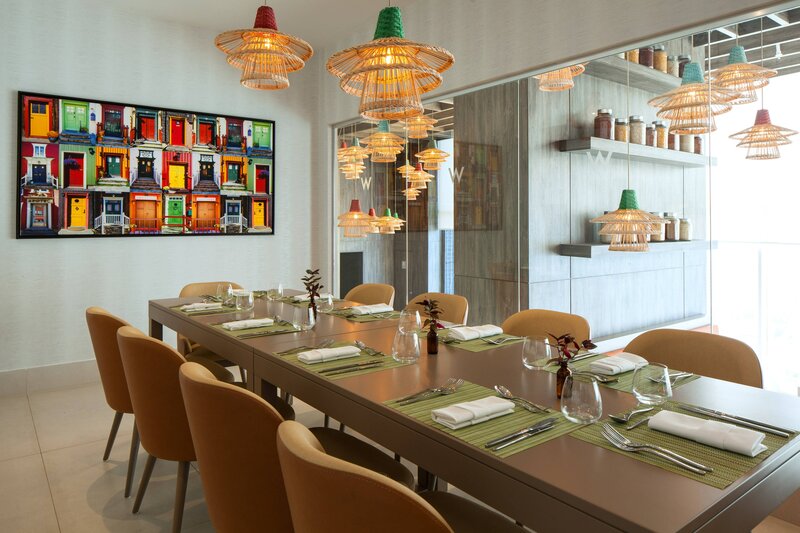 Our modern Great Room 1 & 2 and eight sunlit meeting rooms unite modern technology, creative catering and locally inspired artwork and design elements to create spaces where everything comes to life in vivid fashion. Breakouts get infused with the energy and culture of the local public buses locally known as Diablos Rojos, brought to life with floor-to-ceiling artwork.